A big bonus of fitting a tracking device to your vehicle is the option of reports which include your tax reports or SARS logbook. Other reports can include driver behaviour, speeding, both the duration and place of stops, times (proof of delivery time) and route driven. From a business point of view the security aspect may be of lesser importance than the management aspect. The more sophisticated or fancy systems allow you to monitor your vehicle/ driver in almost real time. The third thing about tracking is the possible discount your insurer may give you. The SARS logbook function on most systems is very easy to use and mostly automatic. Once you have set it up about the only thing the driver must do is indicate which trips are private, and which business. The system does the rest. The iTrack Live SARS Logbook. This is available with 2 options. Either you pay R2650 upfront for the installation and R125 per month, with no commitment to a contract or you can take a 24 month contract which costs R350 per month with a R259 upfront payment. This system will generate trip reports including an automated SARS logbook, report harsh driving or speeding and a vehicle trip summary. Upon entering the odometer reading at the beginning of the tax period into the iTrack Live system, a SARS compliant tax logbook will be automatically generated for you. It is a GPS based system. The recovery option costs R15 per month extra. SMS’s for alerts will be charged. You set the system rules up to alert you for your choice of events. These may be no-go areas or sudden stops. This system allows ‘real’ time tracking and mapping and is an advanced system. Ctrack has 2 options which generate SARS logbooks. The Secure which is more of a traditional product and the Lite which is an entry level fleet control system. Pricing of the Secure system is R269 a month on a 36 month contract, although there is no installation fee. This package does not track driver behaviour. The fleet orientated Lite system costs R329 a month on a 36 month contract and includes live tracking at 10 second intervals. Netstar offers the Cyber-Sleuth Supreme option for either an installation fee of R2799 and R215 a month or a 36 month rental at R280. You can monitor each day’s trips or the last ten stops. Detailed driver behaviour is not available. Their Vigil-Lite option offers location, speed and trip reports and is geared to small fleets. Pricing is either an installation fee of around R2000 and a monthly service fee of R130, the rental option is R199 a month. This is more a management than a security tool. Tracker offers the Skytrax GSM and GPS system. It is very comprehensive, and does everything, including coverage in neighbouring states upon request. Costs for the rental option is R320 for 36 months. There is no installation fee. The cash option is R2999 and R235 monthly with no fixed period contract. This is an advanced product. Matrix offers 3 levels of service. MX1, 2 and 3. Only the MX3 offers SARS logbooks. 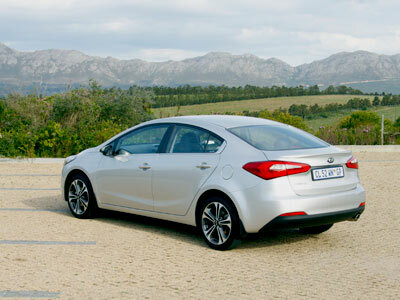 Monthly rentals are R315. The month to month cash option costs R3499 and R215 for the MX3. It includes a panic button, border alerts and no-go zones. This is a comprehensive system. It will pay most businesses to install tracking devices to their vehicles. To extract maximum benefit you will need to subscribe to the more advanced options. The benefits include lower insurance costs, SARS compliance, vehicle control, reduced travel (fuel) costs and better standards of safety and driving (less accidents). Your administration costs should also be lower. The 4th generation Forester still looks like a Forester, just a bit more stylish. It is so uncool that it is cool to those in the know. I love these cars. It’s not about style. It is about substance. A major criticism in the past was the fuel consumption. The engineers at Fuji have performed wonders. They introduced an auto stop start system, adjusted the gearing, gave us more gears and improved the aerodynamics. The result a much better 8.1 l/100km for the normally aspirated 2.5 petrol XS in mixed driving. Expect less than than 7 l/100km on the open road. If you need a comfortable car with good performance, fair space, a huge boot and the capability to take jeep tracks in its stride, look no further. 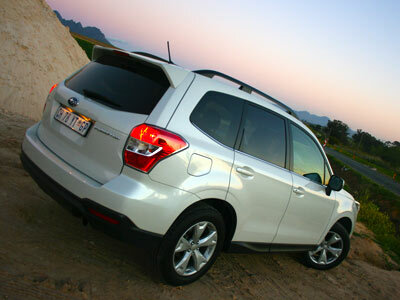 The exterior of the new Forester is much less quirky than the previous generations and more mainstream. In fact the car is more mainstream than previously. This is not a bad thing. Its a handsome (but never pretty) beast now, looking more car like and behaving like a car. Of course beneath the fashionable body lurks a bit of a wolf. With the push of a button the rear door/gate opens and closes to make it easy to load luggage or shopping when your hands are full. The new interior is much better than the model it replaces and is now about on a par with the Germans. It is and feels spacious and well appointed. 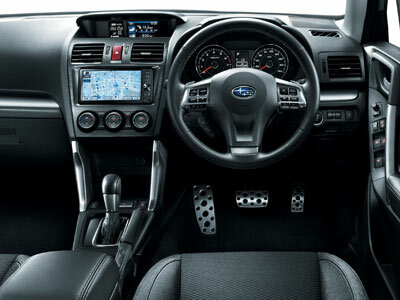 It has a premium multi-function display (with reverse camera), six speakers, full connectivity, steering wheel mounted controls, cruise control and 7 airbags. The driver’s seat is power adjustable. 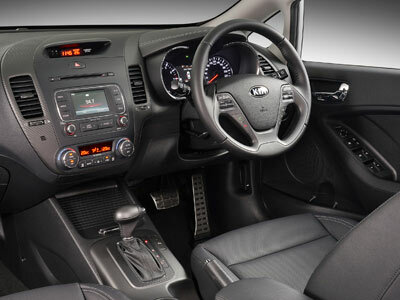 The interior trim for the top 3 models is leather, which includes steering wheel, gear knob and handbreak. There are a number of hooks, cup and bottle holders, storage trays and anchors. The boot is 505 litres with the rear seats up and a massive 1564 litres with the rear seats folded flat. Ground clearance is 220mm and it comes packed with X-mode on CVT models in addition to symmetrical AWD. X-Mode centralises control of the engine to make use of the centre differential, rear differential, brakes and traction control to give controlled descents in steep, low-grip terrain. The Forester goes far off the beaten track and performs impeccably on gravel roads and in the rain. The paddle gears just behind the steering wheel work very well. There is a SI-DRIVE switch which lets you choose a driving mode to suit your driving style and conditions. You can select one of three driving profiles, ranging from gentle (economical) power delivery to a sporty mode with super sharp response. The headlights and wipers are automated. You can tow a 750kg unbraked trailer. Top speed is 196 km/h and 0 to 100 can be done under 10 seconds. 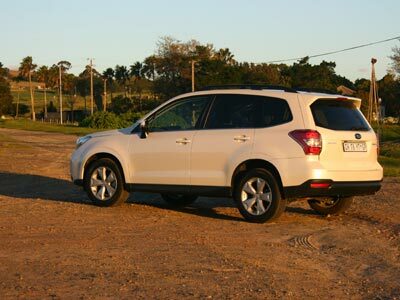 Dynamically this Forester is much better than earlier models. Handling is crisp, steering is accurate and it sits well on the road. 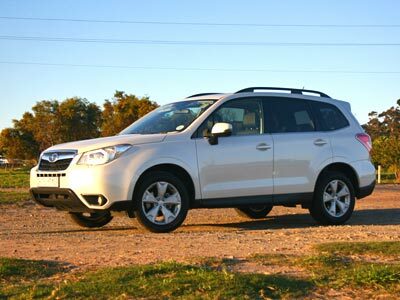 This Forester is a car you will grow to love. Whether you buy it as a SUV or a station wagon it does everything so well and will serve you well. Subaru’s are known for being robust and reliable. Also look at the VW Tiguan, Audi Q3, Ford Kuga, Honda CRV, Kia Sportage and Renault Duster. 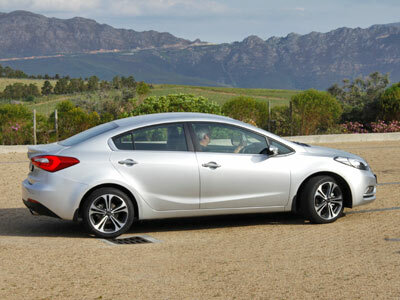 We tested the 2.5XS Premium Lineartronic CVT which costs R429 000. Power is 129kW@ 5800rpm and torque of 235Nm is available from 4100 rpm. 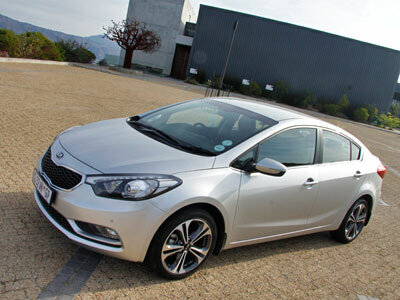 The range starts at R329 000 for 2.0X six speed manual. The top model is the hot turbocharged 2.0XT producing 177kW and costing R529 000. The warranty is for 3 years or 100 000 km and the maintenance plan 3 years or 75 000.